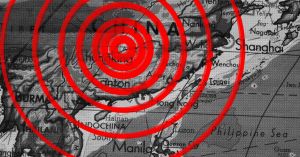 Unexplained “Sonic Attacks” Were Reported In China. Here’s What We Know. The U.S. Embassy in China issued a health alert today reporting that an employee has been experiencing “subtle and vague, but abnormal, sensations of sound and pressure.” US Secretary of State Mike Pompeo clarified the jargon, saying yes, the symptoms are like the mysterious ones diplomats in Cuba felt during the 2016 and 2017 “sonic attacks,” reports CNN. Researchers in the U.S. still haven’t confirmed what caused the Cuban employees’ ear pain, nausea, and vertigo. But so far, the episode in China is playing out slightly differently. Here’s what we know so far. When did this start becoming a problem in China? According to CNN, the embassy employee in Guangzhou, China started experiencing the symptoms in late 2017. They continued through April 2018. The individual returned to the US for an examination, the results of which the Guangzhou embassy learned on May 18. How does this compare to what happened in Cuba? The State Department described the Cuban symptoms as what someone would feel after a “mild traumatic brain injury,” and a CNN source said the same about the China-based employee. Only one individual has complained of symptoms in the current case, while 23 Americans and eight Canadians were diagnosed in Cuba, according to ProPublica. Cuban and American investigations turned into the countries accusing one another of poor behavior, but CNN’s spokeswomen from the Beijing embassy said the Chinese government is committed to cooperation. What do people think are causing the symptoms? Sonic devices. This was one of the original claims U.S. officials made in the Cuba case. But the victims were only U.S. employees—it seems unlikely that planted equipment would miraculously not affect family members and neighbors. “From a technical point of view, that argument is unsustainable,” Lt Col José Alazo, a member of the criminal investigation unit in the interior ministry told The Guardian. Insecticide. Maybe too much permethrin, Cuba’s mosquito-killer of choice that is known to cause nausea, was sprayed. Cuban reports said the insecticide wasn’t used in high enough doses for that, according to Science Magazine. Basically, theories on what these diplomats experienced are all over the place. Part of what’s made figuring out what happened in Cuba difficult is that all the affected staff were removed, and the episode ended abruptly. Maybe with another incident cropping up in China, though, we’ll make concrete progress on the mysterious buzzing—or it will slip out of our hands once again.